Complex Needs Parents' Evening An opportunity to continue to develop good working relationships inviting students and parents to meet in the Complex Needs department, where students can showcase their work, including possible representation from external agencies. 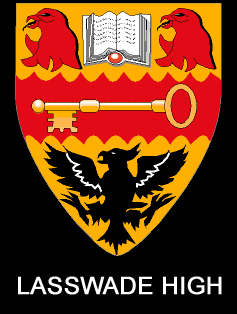 Primary 7 students take part in activities t Lasswade High School over a period of 3 days, Wednesday 12 to Friday 14 June 2019 inclusive. A Parents' Evening for parents of 'new' S1 students is also held at this time on Thursday 13 June 2019. P7 Blazer Fitting Service Prior to the P7 Parental Information Talk in the Assembly Hall, for P7 students transitioning to S1, representatives from Border Embroidery will provide a blazer fitting service in the Atrium. Orders for blazers can be placed on-line. S4 Blazer Fitting Service Representatives from Border Embroidery will provide a blazer fitting service throughout the school day for all S4 students. Orders for blazers can be placed on-line. An opportunity for parents and staff to celebrate the achievements of our senior students. ​UCAS exhibitions give students the chance to explore different career routes and discover which one is right for them. A fascinating insight into their next steps, full of information. Students and Employers will meet to discuss what the future of work will look like - sector by sector. This day conference will be attended by Secondary High School and College Students from across the United Kingdom, as well as Leading Employers and Recruiters. It will be FREE to attend for all students.